Our goal is to connect people with the best local experts. We scored damage restoration companies on more than 25 variables across five categories, and analysed the results to give you a hand-picked list of the best damage restoration companies in Long Beach, CA. Agape Restoration Service provides damage restoration services in Long Beach. Clients have access to fully trained and certified crews, speedy results, great prices, and 24/7 emergency response, and services cover deep cleaning and deodorizing, water damage restoration, demolition and site restoration, fire and smoke damage cleanups, mold remediation, and storm damage repairs. Crews utilize the equipment and techniques needed for successful results on every job, offer a satisfaction guarantee, and cater to the needs of private homes as well as businesses. Agape Restoration Service is a Lead-Safe Certified Firm by the EPA, holds Institute of Inspection, Cleaning and Restoration Certification, and works with all insurance companies. Potential clients can phone, email, or submit an online form for additional service details and pricing. Located in Buena Park, California, Buena Park 24 Hour Flood Rescue is a professional damage restoration company that serves commercial and residential clients throughout the greater Orange County metropolitan area. Certified by the Institute of Inspection, Cleaning, and Restoration Certification, Buena Park 24 Hour Flood Rescue is available around the clock for clients' emergency damage restoration needs. Services provided by the company include insurance-approved remediation services, application of anti-microbial solutions, fire and water damage restoration, structural dry out, fire sprinkler clean up, repair services, demolition services, debris cleanup and haul away, and more. Additionally, the company offers prospective clients a free initial inspection and estimate. Carpet Cleaning Long Beach is a business that has been serving commercial and residential customers for more than 70 years. The business provides a variety of services including water damage restoration, Oriental rug cleaning, carpet cleaning, hardwood floor cleaning, hardwood floor restoration, air duct cleaning, curtain cleaning, mattress cleaning, furniture cleaning, upholstery clean, stain removal, and odor removal. Carpet Cleaning Long Beach specializes in deep cleaning. The business is available to serve customers 24/7 and responds to calls within five minutes. Business hours are Monday to Friday from 6 a.m. to 10 p.m. and Saturday and Sunday from 8 a.m. to 7 p.m. Available around the clock for damage restoration services, Downey 24/7 Flood Rescue in Downey, California is a professional flood restoration company that serves clients in Los Angeles and Orange Counties. The company is experienced in the alleviation and repair of all kinds of flood damage, including damage to hardwood floors and fire sprinklers. Fully certified, licensed, and bonded, Downey 24/7 Flood Rescue has been in the industry for more than a decade and works with a wide range of insurance companies, billing them directly to remove customer hassle. The company prides itself on its emergency response team and pledges to be on-site within half an hour of clients' notifications. Enterprise Wet Carpet is a water damage restoration company in Downey, California. They have years of experience in managing water damage incidents and is able to repair and restore goods and properties to lessen the loss of cost incurred. They of full service damage restoration services such as flood damage restoration, mold remediation, storm damage restoration, fire and smoke restoration, general contractor, and many others. They also offer free mold inspection and free estimates. Enterprise Wet Carpet is available for emergency service 24/7. Immediate Disaster Solutions offers 24/7 emergency cleanup and restoration services. The business is a damage restoration company that specializes in restoring damage caused by water from floods, burst pipes, or leaky plumbing. Their trained technicians provide services like water location and removal, cleaning, disinfecting, sanitizing, deodorizing, and drying for commercial and residential buildings. The business strives to remain up to date with all of its technology and includes state of the art programs for insurance claims. They provide direct billing for clients who wish to have someone with more experience dealing with the insurance companies after a disaster. The company prides itself on being efficient and effective and therefore works closely with insurance companies to keep costs low for customers. Long Beach Flood Damage specializes in fire and water damage repair and restoration services for homes and businesses in the Long Beach, CA metro area. They are licensed, bonded, and insured and require every technician to receive certification through the IICRC. Also, technicians are available 24 hours a day, seven days a week. Other services offered are cold water extraction, cleaning and drying of fabrics, disinfection services, temporary offsite storage, repair and restoration of goods, 30 minute onsite arrival time, and much more. They currently hold a five-star rating on Google where clients speak highly of their professionalism, honesty, and competitive prices. Long Beach Flood Damage is a business that has more than eight years of experience and serves commercial and residential customers. The business provides a variety of services including water damage clean-up, sewer backups, fire sprinkler issues, appliance leaks, sink and tub overflows, plumbing leaks, water supply line breaks, odor removal, sanitation, and controlled drying. The business is on-site within 30 minutes. Long Beach Flood Damage is licensed, bonded, and insured. The business is certified by the Institute of Inspection, Cleaning and Restoration Certification. Long Beach Flood Damage is a Lead-Safe EPA Certified Firm. The business provides 24/7 service and works with insurance companies. Vorte Restoration Services is a San Pedro family-owned and operated business that serves residential, industrial, and commercial customers. Areas the business serves include Palos Verdes, Wilmington, Carson, Lomita, Redondo Beach, Manhattan Beach, Hermosa Beach, Culver City, Long Beach, and San Pedro. 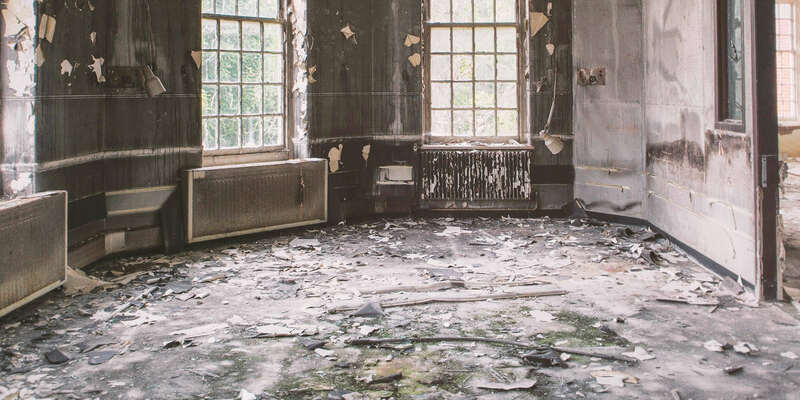 Services Vorte Restoration Services provides include mold removal, mold remediation, sewage clean-up, fire damage restoration, smoke damage restoration, water damage restoration, upholstery cleaning, and carpet cleaning. The business also offers 24-hour emergency service. Vorte Restoration Services is certified, bonded, and insured and offers free estimates. The business is certified by the Institute of Inspection, Cleaning and Restoration Certification. Customers appreciate their knowledge, professionalism, and customer service.